Heartache Gives KT Tunstall's New Album A Split Personality The Scottish singer's latest, "Invisible Empire // Crescent Moon," was recorded in two sessions, which fell on either side of a life-changing summer. KT Tunstall's album Invisible Empire // Crescent Moon was recorded in two sessions, which fell on either side of a life-changing summer for the singer. "I lost my father. He was a Parkinson's sufferer, but he was taken a little early due to an accident — so although he was declining, it was still quite unexpected," Tunstall says. The singer's 10-year relationship with her husband ended that summer as well. Though she says she'd found her way back to positivity by the time she returned to Arizona, the shake-ups in her life had a profound effect on how the later songs sounded — and caused the earlier ones to take on some new meaning. 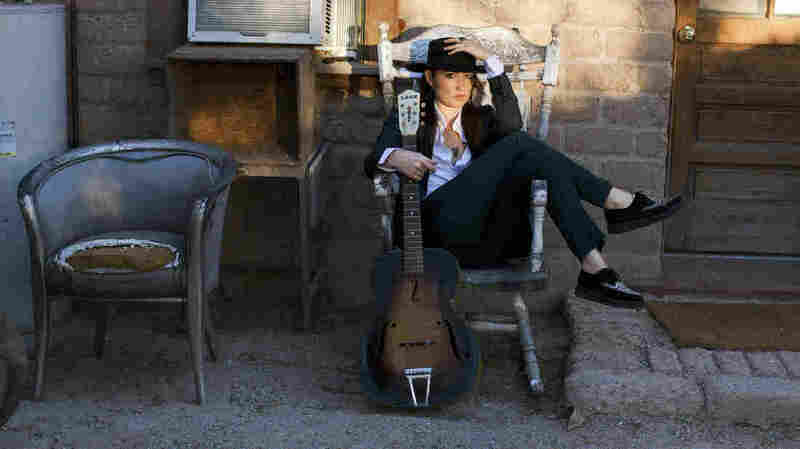 "Songs can have a very weird, precognitive nature to them where they're almost fortune telling for you, and at the time of writing you don't know what they mean," she says. "Then a few months later, you're like, 'Oh, okay. This is what it means.' It's like your subconscious is ahead of you." KT Tunstall joined NPR's Rachel Martin from the studios of the BBC in London to talk about why her fourth album, Invisible Empire // Crescent Moon, has two titles. Click the audio link to hear more of their conversation.